HP report finds a majority of smartwatches to have insufficient authentication, lack of encryption and privacy concerns. While wearable technology continues to increase in popularity, it appears that embedded security may have been left behind. That is according to new research conducted by HP, which discovered serious vulnerabilities in a vast majority of today’s most popular wrist-adorned timekeeping devices. Without question, the wearables space has experienced tremendous growth over the last couple of months, with analysts now projecting the space to surge upwards of 150 million units by 2019. However, as smartwatches like the Apple Watch, the Motorola Moto 360 and the Samsung Gear become mainstream, malicious hackers have found a new entry point for consumers’ most valuable and confidential data. For its “Smartwatch Security Study,” HP combined manual testing along with the use of digital tools and its HP Fortify on Demand methodology to evaluate 10 of what they believe to be today’s “top” gadgets. The team found many of the devices to be susceptible because they simply lacked basic, industry standard security measures. While the results may be disappointing, they are not too surprising given the latest string of hacks and breaches. Topping the list of flaws included insufficient verification, lack of encryption, insecure web interfaces and other privacy concerns. Not only did every tested unit lack a two-factor authentication process and the ability to lock out accounts after three to five failed password attempts, but the company flagged as many as 30% of the wearables to be vulnerable to account harvesting, a technique where an attacker could gain access to the device and data using a combination of weak password policy, lack of account lockout and user enumeration. Additionally, researchers uncovered that the devices demonstrated a lack of transport encryption protocols. While each of them implemented encryption using SSL/TLS, 40% of the watches remained defenseless to known vulnerabilities such as POODLE, allowed the use of weak cyphers or still used SSL v2. 30% of the tested smartwatches used cloud-based web interfaces, all of which exhibited account enumeration concerns. In a separate study, three in 10 exhibited account enumeration concerns with their mobile applications as well. This flaw enables hackers to identify valid user accounts through feedback received from reset password mechanisms. Making matters worse, 7 out of 10 gadgets analyzed are said to have problems with firmware updates. Researchers revealed that most of the smartwatches did not receive encrypted firmware updates, and while a number of updates were signed to help prevent malicious code or contaminated updates from being installed, a lack of encryption did allow files to be downloaded and looked at elsewhere. If that all wasn’t scary enough, HP says the wearables demonstrate a risk to personal security and privacy ranging from names, addresses and date of births to weight, gender and heart rate information. Given the account enumeration issues and use of weak passwords on some products, exposure of this personal data is surely a concern. “As manufacturers work to incorporate necessary security measures into smartwatches, consumers are urged to consider security when choosing to use a smartwatch. It’s recommended that users do not enable sensitive access control functions such as car or home access unless strong authorization is offered. In addition, enabling passcode functionality, ensuring strong passwords and instituting two-factor authentication will help prevent unauthorized access to data,” HP concludes. Want to delve a bit deeper? Be sure to check out HP’s entire report, as well as explore ways to embed hardware-based security into future wearable designs. This entry was posted in IoT, Security, Wearables and tagged HP Smartwatch Security Study, Internet of Things, Internet of Things Security, IoT, Security, Smartwatch Security, smartwatches, Wearables, Wearables Securitty on July 22, 2015 by The Atmel Team. 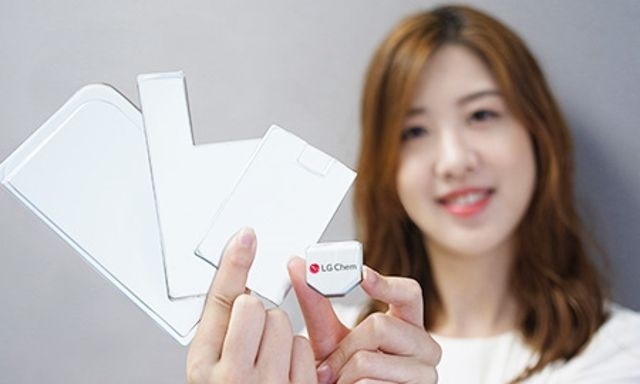 LG Chem is bringing 25% more battery capacity to wearable devices. When it comes to wearables, especially smartwatches, one of the biggest obstacles to overcome so far has been battery life. Given that the devices are adorned to the wrist, size and space are often limited. As a result, batteries are required to adhere to certain form factors in order to properly nestle inside. Open up any mobile gadget today and chances are that its rechargeable battery boasts a square or rectangular shape. With a restricted amount of space, such a shape may not always be the best option when it comes to a circular watch. This leaves quite a bit of wasted room that could be filled by battery. In an attempt to solve this conundrum, LG Chem has come up with a solution: a coin-sized, hexagonal battery. This new innovation, which sports a design that allows for it to cover more surface area, reportedly improves capacity as much as 25% compared to its rectangular counterparts. With the charge of most smartwatches somewhere around one day, this battery will prove to be favorable for manufacturers looking to give their device a little more juice and push the boundaries of heavy usage. Even better, this is only the beginning. LG has shared plans for other unusually-shapped batteries, which include an L-shaped one and a rectangular model with a hole in the middle, that are said to improve the running time of gadgets without compromising their aesthetics. And it couldn’t come at a better time, as reports suggests that smartwatches will make up at least 40% of the wearable market by 2016. Growing up, we were always told to abide by the “KISS” principle — or “Keep it simple, stupid” — which states that most systems work best if their design doesn’t entail any unnecessary complexities. This also applies to wearable technology, as LG has demonstrated. In order to take these body-adorned devices to the next level, innovation is needed everywhere, from MCU and screen power to wireless and battery capabilities. This entry was posted in Wearables and tagged Battery Capacity, Battery Life, Hexagonal Battery, LG Chem, Smartwatch Battery, smartwatches, Wearables, Wearables Battery on July 1, 2015 by The Atmel Team. Pebble has pledged $1 million towards development of modular accessories for its latest Time and Time Steel smartwatches. 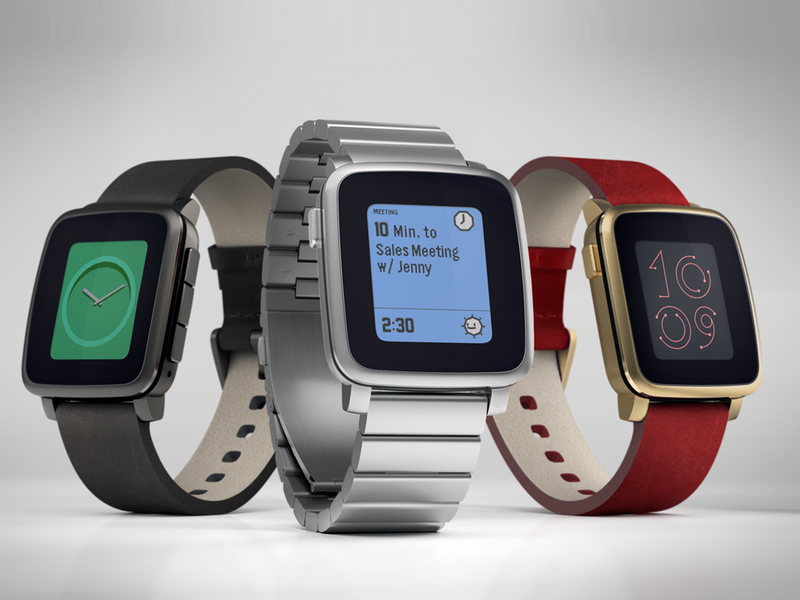 A few weeks ago, Pebble launched a Kickstarter campaign for its Pebble Time smartwatch. To date, the record-shattering gadget has already garnered nearly $20 million and has been at the center of all the wearable buzz as of late. Aside from the unveiling of its premium Steel counterpart during Mobile World Congress, another big piece of news has proven to be the announcement of modular smartstraps. This open hardware component of Pebble Time will enable Makers, developers and designers alike to create their own add-ons for the device. Better yet, Pebble is now betting big on the initiative by pledging $1 million to fund its development and commercialization. “If you have an idea and want to be part of the smartstrap revolution, this is your chance! Get a team together, build a prototype and put your project up on a crowdfunding platform. Our team will work to help bring your idea to life,” Pebble writes. Smartstraps open the door to a wide-range of possibilities, including standalone cellular capabilities, NFC, GPS and even heart rate monitors. 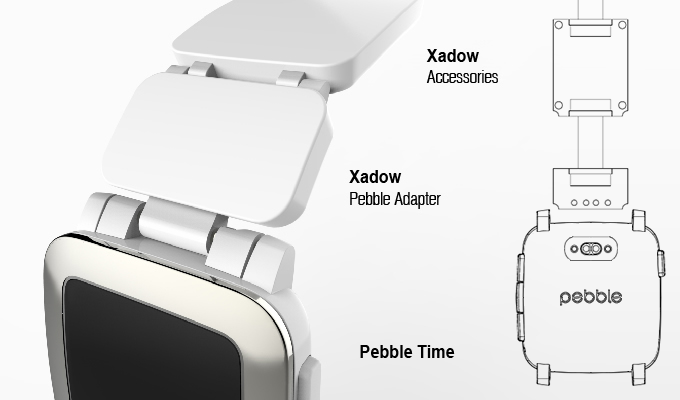 Pebble says these bands will be easily interchangeable, and can be swapped out in as little as five to 10 seconds. In the days following its announcement, the Pebble crew received countless ideas, requests, and suggestions for smartstraps. Two of their earliest favorites came direct from notable names in the Maker community: Spark.io and SeeedStudio. Seeed Studio has revealed that they will be producing a Pebble Time connector for their Arduino-compatible Xadow boards (ATmega32U4) later this year. Meanwhile, a recent Spark.io prototype demonstrated how an Electron could be used to untether a Pebble and connect directly to the cellular network. Want to learn more? Head over to its official page now. This entry was posted in Arduino-Compatible, IoT, Maker Movement, Wearables and tagged Makers, Pebble, Pebble Smartstraps, Pebble Time, Pebble Time Smartstraps, Seeed Studio, smartwatches, Spark IO, Wearables, Xadow Modules on March 23, 2015 by The Atmel Team. What time is it? These DIY clocks say it’s Maker time! It’s the holiday season, and while we surf the web and flock the stores to find the latest and greatest smartwatches, alarms and decorative clocks, some Makers have proven just how amazing handmade timepieces can be. Let’s take a look back at some of our favorite home-brew devices from the last couple of months. Maker John De Cristofaro devised a rather impressive Steampunk-inspired wristwatch powered by an ATmega88. 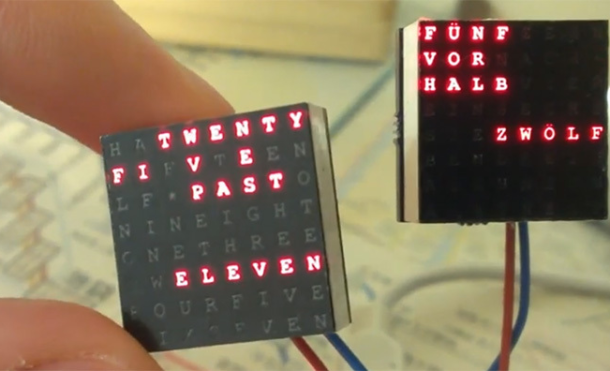 Maker Daniel Rojas created his own iteration of Biegert & Funk’s contemporary QLOCKTWO word timepieces using an ATmega328P MCU to power the device. 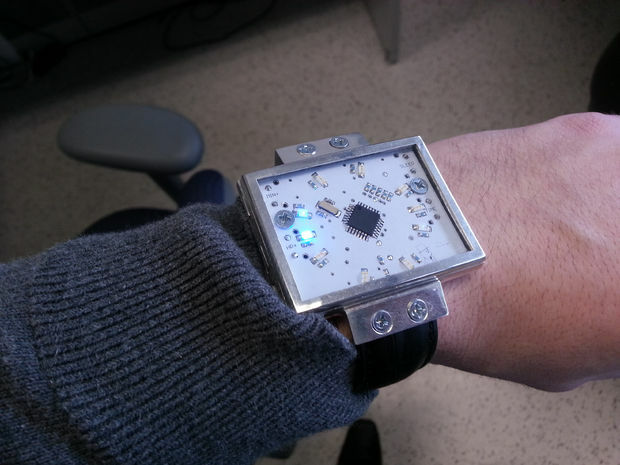 Maker Moritz Wenzel has developed an Arduino-compatible, software and hardware expandable smartwatch appropriately named Tardis. 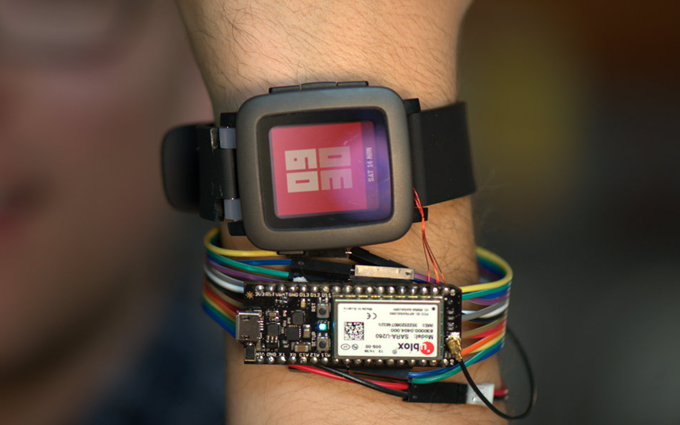 The ATmega32U4 powered wearable allows Makers to visualize their Arduino projects, as well as connect them with either the watch itself or their smartphone via Bluetooth. This piece was built to do one thing, display the precise time — no matter the conditions! 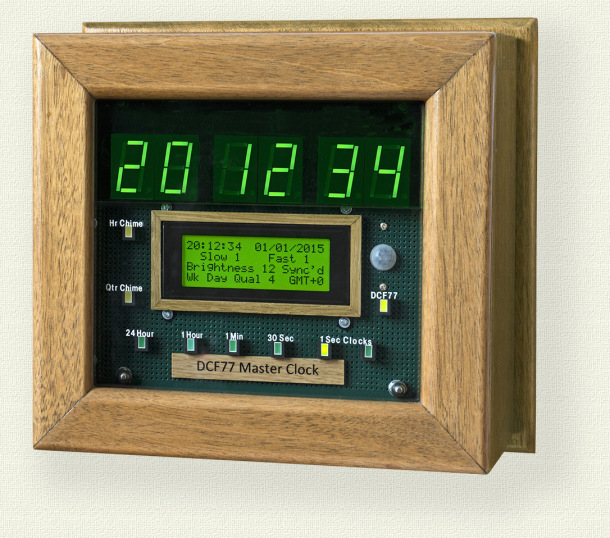 Maker Brett Oliver’s device is timed off of the DCF77 atomic clock in Mainflingen, Germany, while an ATmega328 interacts with Udo Klein’s new DCF77 library to ensure the incredibly accurate time. Have you ever slept through a crucial meeting, missed a flight or showed up late to an exam due to a faulty alarm? Fear no more as the S.M.A.R.T (Setup for Meetings, Appointments, Reminders, and Tasks) Alarm Clock is here to solve all of your problems! Designed by Adafruit’s Tony DiCola, the Arduino Yún-based (ATmega32U4) DIY gadget provides users with the ability to enjoy a more restful sleep knowing they’ve solved the nightmare of regulating their alarms. No, this isn’t a joke. 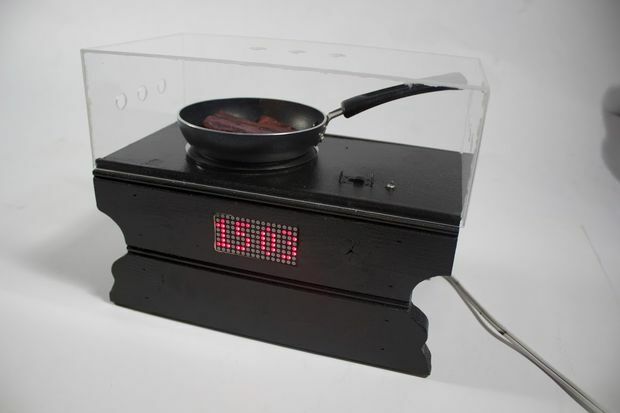 A Maker by the name of llopez2005 has indeed designed an Arduino Uno (ATmega328) based bacon alarm clock for those of us who need an extra incentive to get out of bed in the morning. Apparently, coffee doesn’t work for everyone! 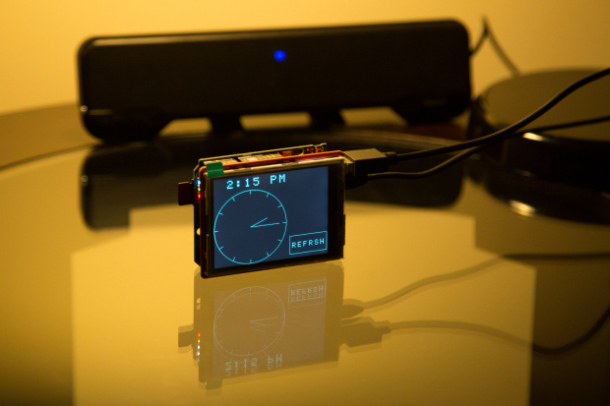 Hobbyist electronic shop Akafugu produced a slick vacuum fluorescent display (VFD) clock, powered by an ATmega32U4 and running an Arduino Leonardo bootloader. 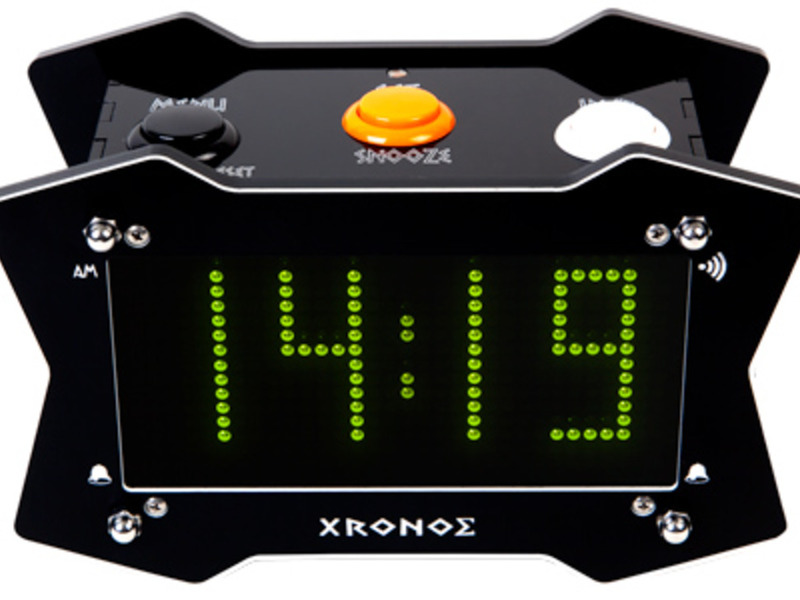 Xronos (which originated from the greek word “Χρόνος” which means times) Clock isn’t your typical alarm clock. Powered by an ATmega644P, the device is open-source, hackable and customizable — not to mention is pretty stylish as well! 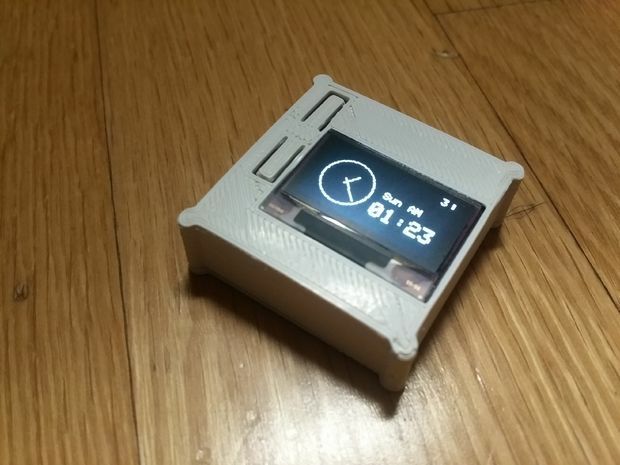 Designed by Instructables user GodsTale, this DIY open-source smartwatch is driven by an Arduino Pro Mini (ATmega328) running at 3.3V. 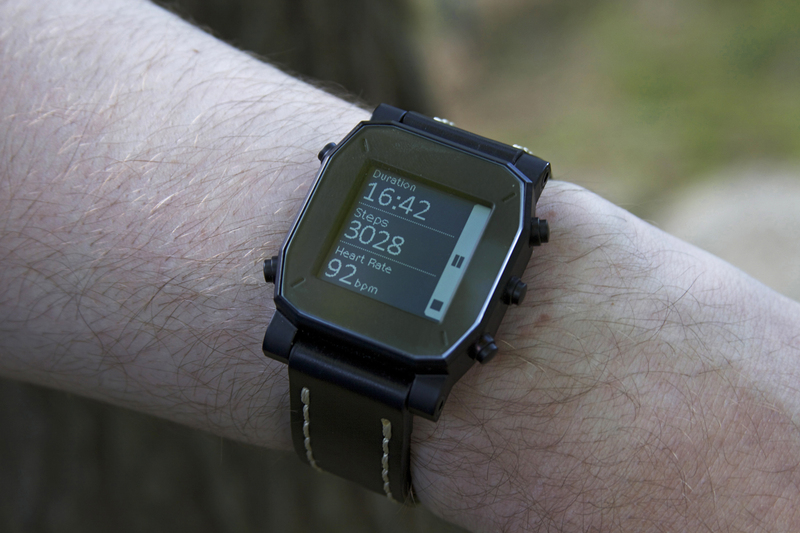 Aptly named RetroWatch, the wearable is equipped with Bluetooth, a small Adafruit OLED display and a LiPo battery. 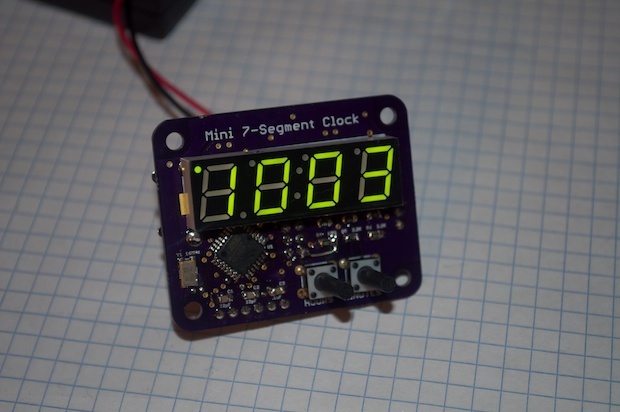 Kevin Rye recently redesigned his already impressive Mini 7-Segment Clock using an SMD version (instead of 28-pin DIP) of the ATmega328 and a custom PCB. 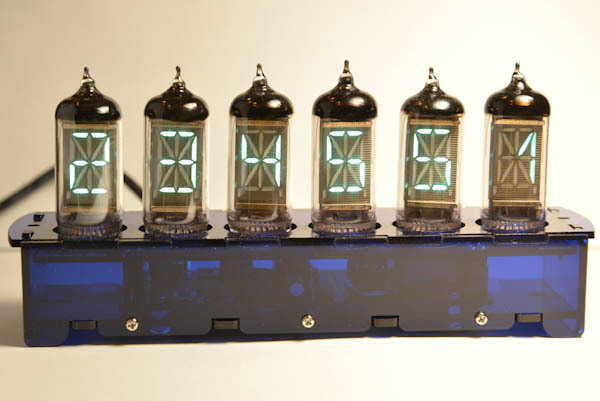 There’s really nothing quite like the comforting glow of a Nixie tube. Reboots apparently couldn’t agree more, as this retro modern (and ATmega48 powered) Nixie clock he designed clearly illustrates. 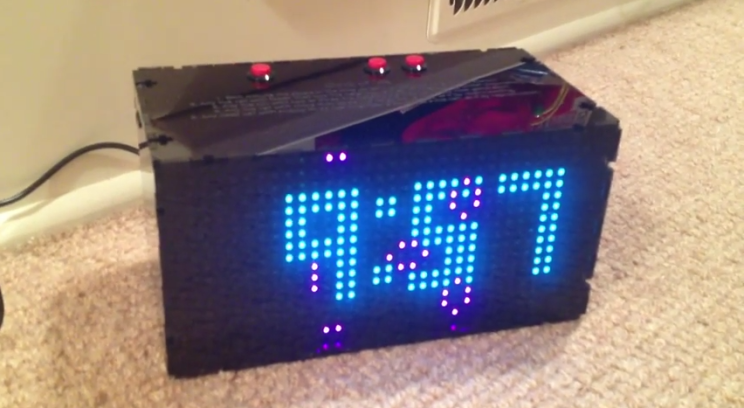 Inspired by John Horton Conway’s Game of Life, this clock is powered by an Arduino Uno (ATmega328) paired with a Chronodot RTC module to assist with accurate time keeping. 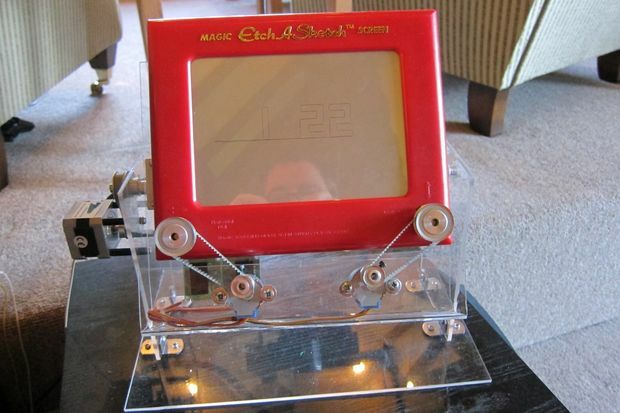 While Dodgey99 had never used stepper motors or real-time clocks before, that didn’t stop this Maker from creating a really cool Etch-A-Sketch clock, controlled by an ATmega328 based kit. 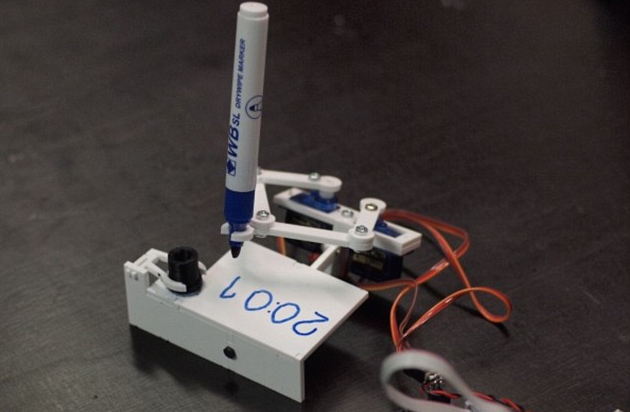 Designed by Thingiverse member Joo, the Plotclock writes the time, in hours and minutes, on a white board using a dry wipe pen, before erasing it and starting again. The device is powered by an Arduino Uno (ATmega328), while three servos control and manage the movement of its arms. The rest of the clock is comprised of 3D-printed parts and mechanisms, connected by M3 nuts, bolts and thread tape. 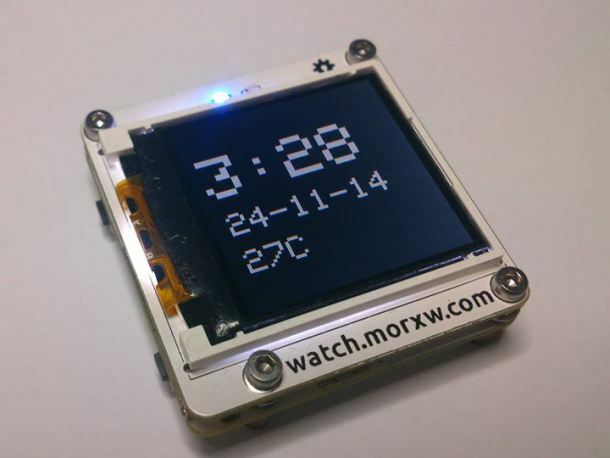 Maker Chris Gunawardena pieced together quite the nifty minimalist LED clock powered by an ATtiny84 MCU. 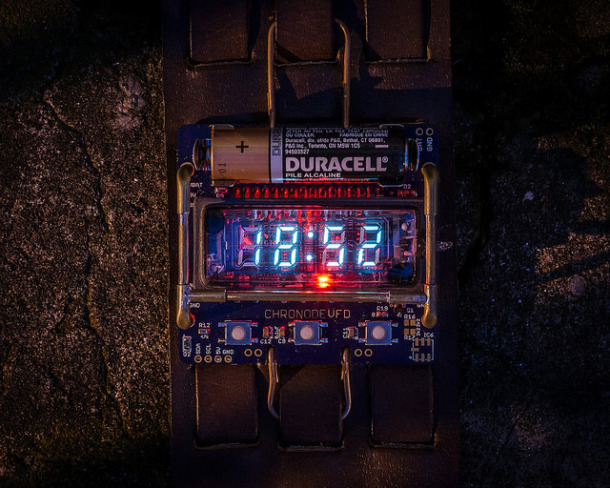 A Maker by the name of N.fletch debuted the ChronosMEGA, a beautifully designed wristwatch based on the ATmega328P. Aside from the AVR MCU, its other key specs include binary time encoding (via 10 Blue 1206 LEDs), a slew of buttons to control time, sleep mode and display, a 32.768kHz external crystal and an 8MHz internal clock source. 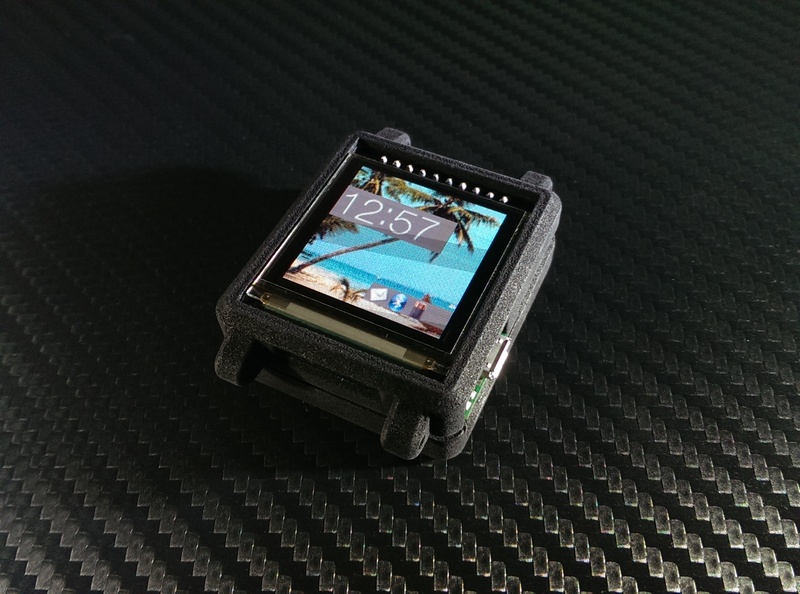 16-year-old Maker John Wall introduced a new version of hs Arduino-compatible, open-source smartwatch. This device, which is described as a Bluetooth 4.0 fitness-tracking device for Android and iOS with a 1.5-inch color OLED display, is built around the IMUduinoBTLE (ATmega32U4). 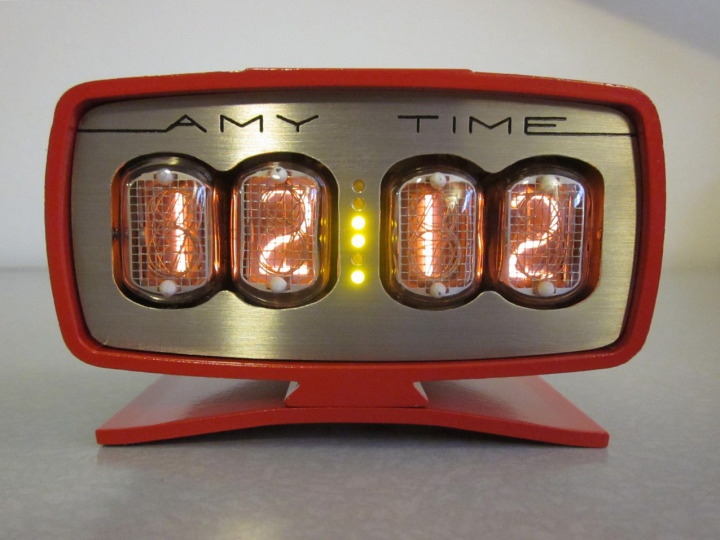 This entry was posted in Arduino, Maker Movement and tagged Arduino, Arduino Pro Mini, ATmega168, ATmega328, ATmega32U4, DIY Alarm Clocks, DIY Clocks, DIY smartwatch, Maker Movement, Makers, open source, smartwatches on December 17, 2014 by The Atmel Team. We’re just weeks away from a breakout year for wearables, new research from Forrester has revealed. 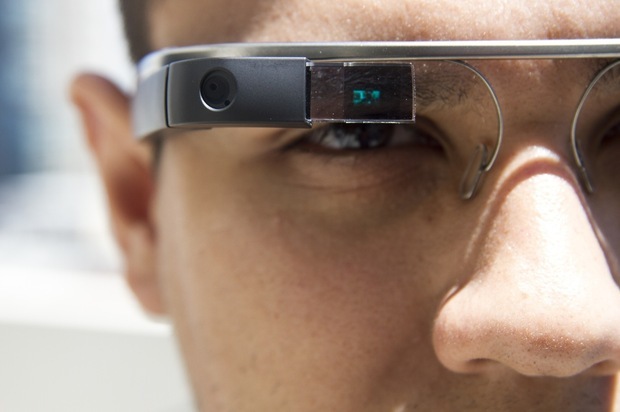 The research firm joins other tech industry analysts in proclaiming 2015 as the pivotal year for wearable technology. If you recall, back in October, Gartner named the wearable space among the top strategic trends IT managers will have to contend with next year, along with big data and the burgeoning Internet of Things. In its report, entitled “Five Urgent Truths About The Future Of Wearables That Every Leader Should Know,” Forrester expects the number of people using a wearable computer will triple in 2015, led by the highly-anticipated arrival of Apple Watch that is projected to draw 10 million users next year. The study, which examined thousands of consumers in both U.S. and Europe, suggests more Americans (45%) can see themselves donning wearables than their European counterparts (32%). 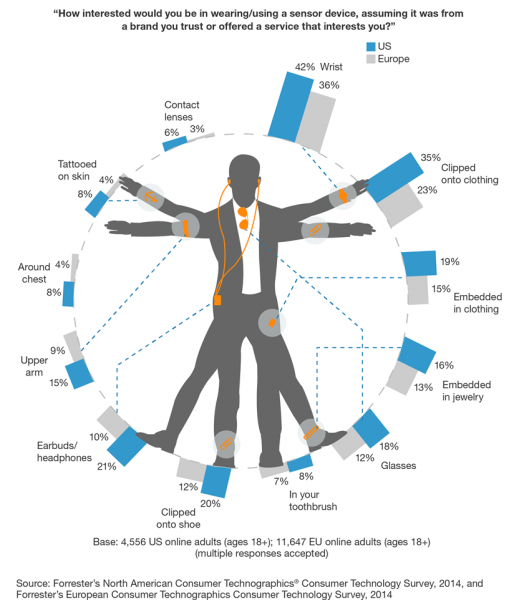 As to where consumers will likely adorn their bodies with wearable computers, many cite their wrists, clothes, shoes, ears and eyes as key areas. The report notes that the wrist appeals to over a third (42%) of consumers in both the U.S and Europe — even before the arrival of Apple’s latest device. This compared to 28% of adults last year. Gartner believes this may be a result of companies Fitbit, Samsung, Pebble, Jawbone and others that have begun educating the market about wrist-based wearables. Meanwhile, smart garments — wearables embedded in, or clipped onto, clothing and shoes — show under-appreciated interest. In fact, fellow research firm Gartner believes the emergence of less invasive devices, particularly e-textiles will potentially disrupt the wearables space. So much so that embedded attire shipments will rise from a mere 0.1 million units in 2014 to 26 million units in 2016. “Ralph Lauren debuted its Polo Tech smart shirt with OMSignal’s technology at the US Open, while Ducere’s Lechal uses haptic feedback to create screen-free GPS in smart shoes,” Gownder exemplifies. “And, while strong consumer interest exists for wearable devices, a bigger driver of demand is coming from businesses looking to supply employees with all types of new body gadgetry,” Reuters reports. Take for instance, a recent Kronos and Harris poll found that 73% of workers believe that wearable technology can enhance their work environment and productivity in some way. Meanwhile, over two-thirds (68%) of business decision-makers polled by Forrester cited developing a wearables strategy for their business was now a priority. “The wearable market will take off as brands, retailers, sports stadiums, healthcare companies, and others develop new business models to take advantage of wearables,” Gowdner urges. Throughout the upcoming watershed year, we can expect to see the emergence of wearables to monitor the safety field workers, location-aware smartwatches to assist managers assign shift workers in real-time and video, as well as photo devices that augment the human insights of technical inspectors. The research firm also anticipates that wearable devices will become increasingly collaborating, demonstrating how Thalmic Labs’ Myo gesture-controller armband could complement Google Glass, for example. Interested in learning more? Gain deeper insight into each of the five urgent truths by downloading Forrester’s official report here. This entry was posted in Design Trends, IoT and tagged forrester, Smart Wristband, smartwatches, Weaarables, wearable tech, Wearable technology on December 10, 2014 by The Atmel Team. 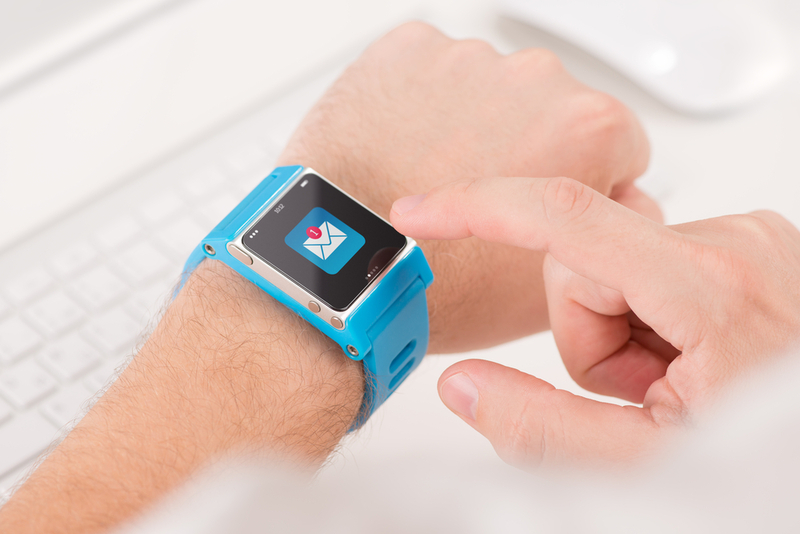 Report: Will the workplace lead wearable tech adoption? A majority of adults are ready to embrace wearables in their workplace, though the U.S. remains behind in overall wearable adoption, a new survey by Kronos Incorporated has revealed. Currently, nearly three-quarters (73%) of adults believe wearable tech could benefit the workplace in at least one of three major ways: increasing efficiency, productivity, or safety. As previously reported on Bits & Pieces, researchers expect more than 13 million wearable devices with embedded wireless connectivity to be integrated into wellness plans offered by businesses over the next five years. Meanwhile, analysts also anticipate that the workplace wearables market will reach 455 million devices by 2019, generating $46.5 billion of revenue worldwide. On a global scale, workers cited smart headphones, smartwatches, and arm or wrist computing devices as the most useful in their workplaces. While 48% of U.S. adults believe that wearable technologies could benefit the workplace, this substantial percentage was the lowest out of all other regions: 96% in Mexico, 94% in China, 91% in India, 72% in Germany, 69% in Australia and France, and 66% in England. “Countries where adults have adopted wearable technology for personal use appear to use wearables for work-related activities as well, and adoption of wearable technology is higher at work than for personal use across the board,” a statement from Kronos explained. The poll found that when it came to daily wearable use, Americans were lagging behind with only 13% using a body-adorned devices in their personal lives. On the other end of the spectrum, China was by far the highest ranking region in this regard with just shy of 75% of adults using wearables, followed by India (72%) and Mexico (70%). The survey cited smart headphones and fitness monitors as popular wearable devices with large user disparities across the world. For example, only 5% of U.S. adults use smart headphones, as opposed to 61% of adults in China. Furthermore, a whopping 82% of adults in India and Mexico, as well as 81% in China, have ever worn technologies like headsets, smart badges and barcode scanners for work-related activities, as have 56%of adults in Germany. However, only 20% of United States, 38 % of England., 43% of Australia, and 45% of France adults have used a wearable device for work-related activities. While the survey revealed several keys to wearable adoption among employees, one in particular was efficiency. 33% percent of American adults cited this factor as a driver for wearable use, while 62% of Mexican respondents and 45% of Indian respondents agreed. The survey did shine some positive light on the future of wearable computing in the United States. While only 13% of all U.S. adults claim they use wearable devices in their personal lives, more than 1 in 5 of adult students do. Consistent with that, 72% percent of U.S. students see at least one way wearable technologies could benefit the workplace as opposed to just 48% of overall U.S. adults. Kronos also noted that from a personal perspective, 85% of online students see at least one potential business-related benefit that would make them more likely to use wearable technology for work-related purposes, as opposed to 66% of overall U.S. adults. Another positive sign for U.S. adoption is that nearly one-third of employed U.S. adults have no concerns about using wearable technology in the workplace. And, as the the wear-your-own device (WYOD) trend continues to take shape, you can expect Atmel to be smack dab in the middle of revolution, with a comprehensive portfolio of versatile microcontrollers that power a wide range of platforms and devices. “This survey shows a marked difference in how wearable devices are used and perceived around the world, and people who use new wearable technologies in their personal lives tend to see more potential benefits in the workplace. The more comfortable we become with wearables, the more apt we are to leverage these technologies in the workplace,” concluded Joyce Maroney, Director of The Workforce Institute at Kronos. Want to learn more? You can access the entire study here. Those interested in an in-depth exploration of computers that you wear for work and play may want to check out this latest white paper. This entry was posted in Design Trends, IoT and tagged Enterprise Wearables, Kronos Incorporated, smartwatches, The Workforce Institute, Wear Your Own Device, wearable tech, Wearable technology, Wearables, Workplace Wearables on October 29, 2014 by The Atmel Team. 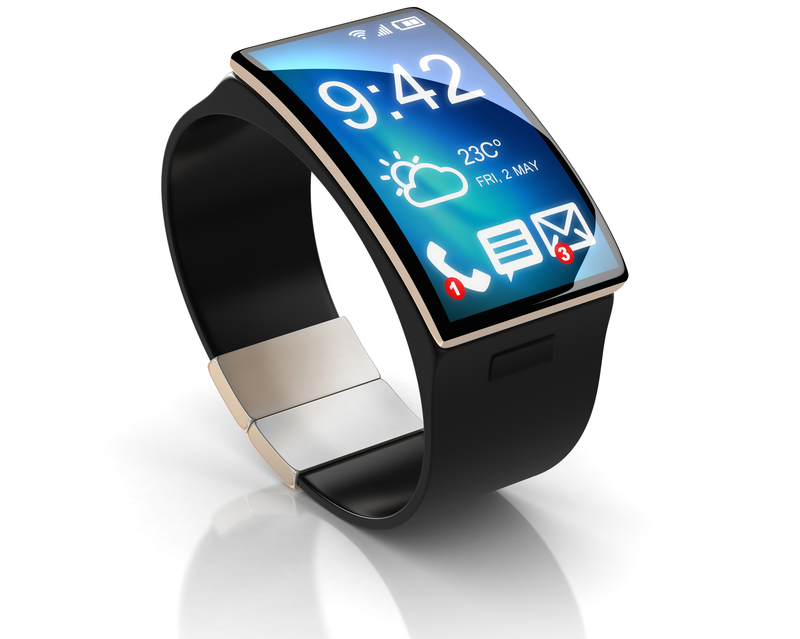 According to Juniper Research, more than 100 million smartwatches will be in use worldwide by 2019. The report reveals that over the next 12-18 months, a number of premium brand launches will help bring the category into mainstream consumer consciousness. 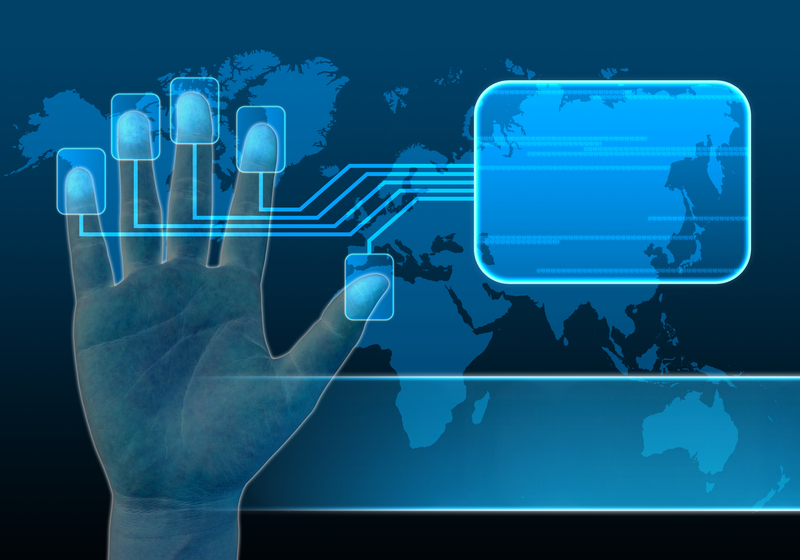 The report, entitled “ Smartwatches: Market Dynamics, Vendor Strategies & Scenario Forecasts 2014-2019,” highlights that differentiation is now shifting from merely hardware to other connectivity features, such as GPS and near field communication (NFC) technologies. Juniper Research also claims that the range of functionality available means that it is unlikely that a ‘killer app’ for smartwatches would evolve, using Fitbit as an example, which grew to dominance in the fitness space with a varying device form factor. “Given the greater scope for development in smart watches, the industry should not expect a single capability to make or break the category,” the report argues. Additionally, if international vendors like Google, Apple, Sony and LG roll out high-end products, the demand for notification-based watches will diminish, even in markets where budget pricing is the biggest purchase driver. What this means is that smaller players will need to respond to increasing consumer expectations or lose further market share. Juniper goes on to note that high functionality and premium branding means that the average smartwatch price will remain north of $200 over the next five years, while smartwatches will slowly gain more sales outlets as brands outside of the tech sector enter the space. As wearable developers continue to push the boundaries of performance and power, Atmel’s underlying design technology will make it easier to use, secure and afford. This entry was posted in Design Trends, IoT and tagged Internet of Things, Juniper Research, smart watches, smartwatches, Wearable technology, Wearables on October 15, 2014 by The Atmel Team.